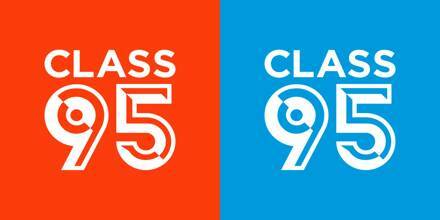 CLASS 95 is a NON-STOP contemporary pop radio station in Singapore, providing Adult Contemporary Pop, Rock and Country music from the 70s to today’s pop for listeners. It is an English radio station of Mediacorp in Singapore. MediaCorp organization is the owner of this radio station. It is currently Singapore’s number #1 English Radio Station. It is a broadcast radio station in Caldecott Hill Estate, Singapore. Also broadcast from Singapore Mediacorp Campus, Malaysia- Johor Bahru and Indonesia- Batam. Broadcast area: Singapore Mediacorp Campus 1 Stars Avenue Singapore 138507; Malaysia- Johor Bahru and some parts of Southern Johor; Indonesia- Batam, Riau Islands Province. To get more information, visit CLASS 95 FM Radio website- radio.toggle.sg/en/class-95-FM. CLASS 95 radio station is an English language radio station that broadcasts the western and local music from 80’s to today’s pop. It is a twenty-four hours channel works and operated under the management of MediaCorp in Singapore. Many foreigners also play Class 95 FM due to its relation to international language. 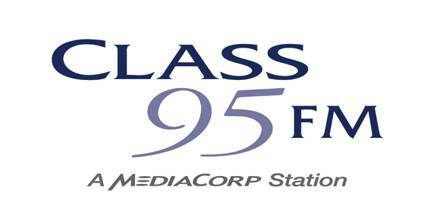 Class 95 FM is proud to be the only English radio station of MediaCorp in the whole Singapore. Classe 95 Fm is a radio station dedicated to music programs. You will get pleasure from a lot of great mixes from the best songs in diverse music genres. Don’t miss the great music and radio programs from this awesome station. Its team of professionals includes Yasminne, Tim Oh, Jean Danker and Jeremy Ratnam. MediaCorp radio station Class 95FM remained the most popular English-language radio station in Singapore with a listenership of 16.2 percent, according to the latest Nielsen Radio Diary Survey. Full-Time DJs: Justin Ang, Vernon A, Yasminne Cheng, Sophie Hanley, Jean Danker and Simone Heng. Part Time DJs: Germaine, Yumiko, and Maggie. The All New Love Songs with Elias & Simone: Time: 8pm – 12am. Jean Danker won the “Most Popular Radio Personality (CLASS 95)” award. She was among 24 winners in total. Yasminne Cheng won the “Most Stylish Radio Personality (Female)” award in 2013. To advertise on this radio station please calls the Mediacorp Advertising Enquiries Hotline at 6333 9888. Or email at mae@mediacorp.com.sg or visit www.mediacorp.sg/advertising/. Executive Creative Producer: Kelvin Loke. Social Contact: Facebook, Twitter, Instagram, YouTube, Website. Address: Stars Avenue, Singapore 138507. Liveonlineradio.net has Classe 95 FM Radio in its listings. Just click and enjoy. Classe 95 FM Radio– www.liveonlineradio.net/singapore/class-95-fm. 100.1 Moose FM – Energetic Country! Beach Grooves Radio, Loves Music!